Waterford Harbour Sailing Club (WHSC) is located at the mouth of the river Suir in the picturesque village of Dunmore East, Co. Waterford. Founded in 1934 we are a friendly, inclusive club welcoming everyone at all ages and levels who enjoy messing about in boats. ISA ‘Safety Boat’ Course – May 25th,26th. WHSC is a Members Club with an active sailing and boating community. We have something to offer everyone who enjoys being 'on the water'. 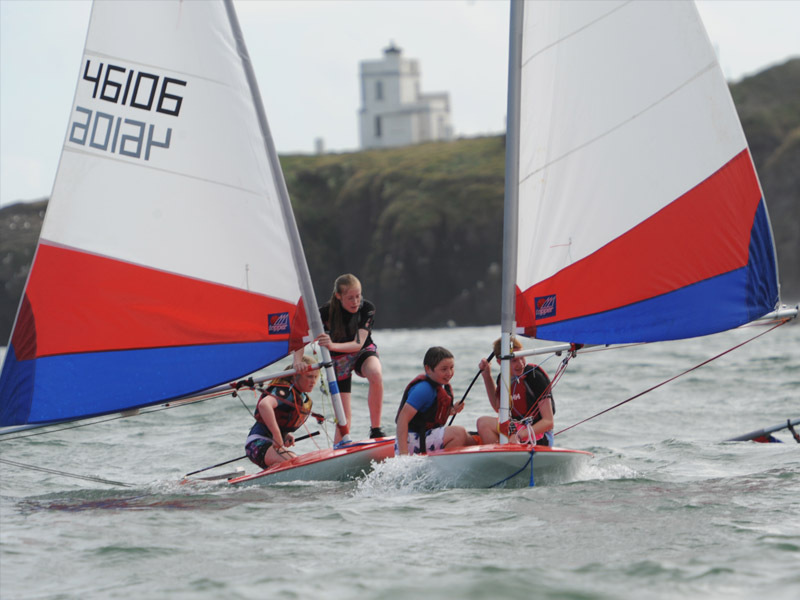 WHSC provides accredited ISA (Irish Sailing Association) training courses- a great place for families to get safely involved in boating. If you are just thinking of dipping your toe in the water but don't have a boat, we have a range of club boats available to members. The ethos of the club is open and inclusive; we love beginners (young and old). What are you waiting for ? Time to put some wind in your sails!